Come out and support your local firefighters with a little friendly competition! We are hosting our 4th annual 5K Run/ Walk and kids Mustache Dash at the beautiful Camelback Ranch Spring Training Facility. This will be a family friendly event so bring the whole crew! There will be firetrucks and fun for the kids. 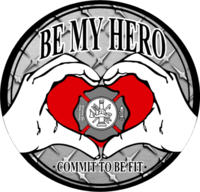 Join us in our goal to promote healthy living in our community and among our firefighters! Race Day Registration and Packet Pick-Up will be available beginning at 7:00am at Camelback Ranch Spring Training Facility. Cost of registration on race day will be $40 for the 5K for adults and $30 for those under 18. The Kids Dash is free and is only open to children ages 8 and under and is untimed.